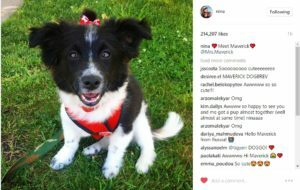 Neens introduces her newly adopted, adorable pup, Maverick Do(g)brev, on Instagram, And she has her own Instagram account @mrs.maverick. Make sure to follow! !